Hey, y'all! This weekend my latest tutorial went live on the Sizzix blog. I'm showing you how to make an Evergreen Christmas Tree Necklace complete with watercolor gift tag "packaging." Yes, I know that it seems a bit early to be thinking about Christmas already, but I know for a fact that the holiday can creep up on us crafters so fast that we don't have time to get all our Christmas crafting done. The great thing about this project is that it's really easy to make. And to help you make your own, later in the post I'm giving way two of the dies I used to make this project! Watercolor is a big trend in crafting and design now, so I love how the gift tag takes the pretty necklace to a whole new level. I mean, who wouldn't be excited to open this gift?! You can find the full tutorial for the necklace and gift tag HERE. 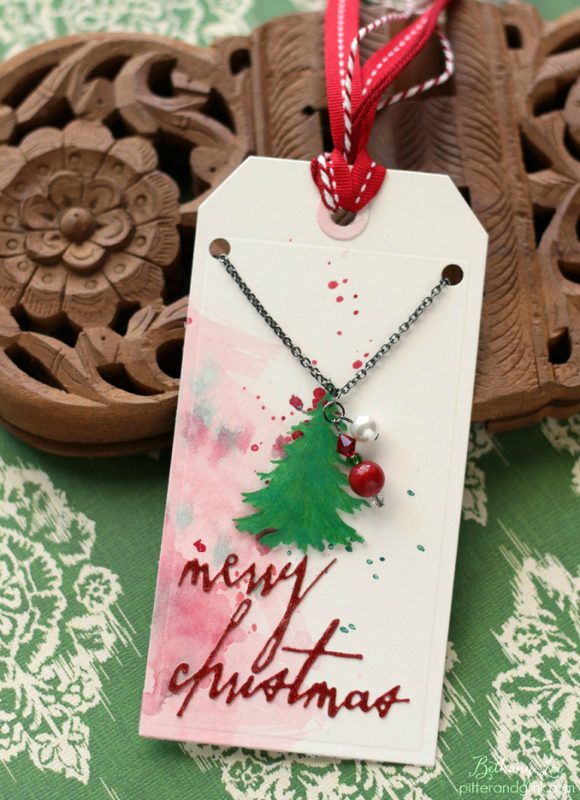 I used several Sizzix dies designed by Tim Holtz to create the necklace and gift tag. I'm giving away two of those dies in today's post. 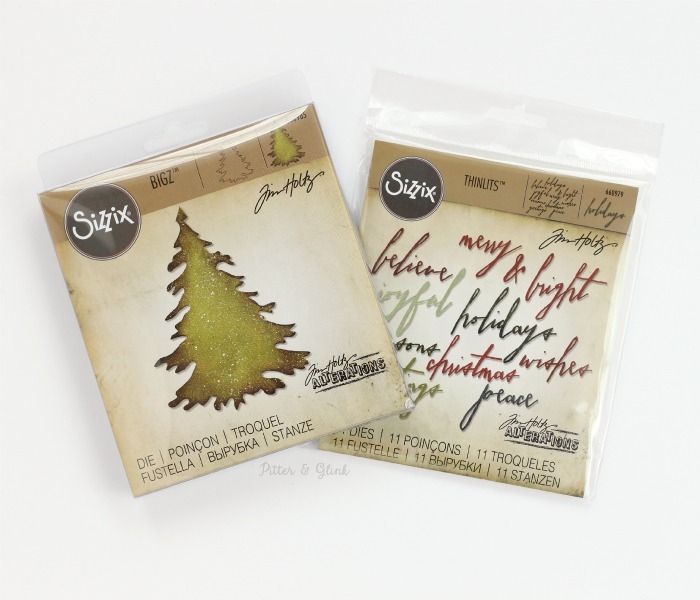 One lucky reader is going to win the Sizzix Evergreen Bigz Die and the Sizzix Handwritten Holidays Thinlits Die Set. This giveaway is open to residents of the continental U.S. and ends on November 5, 2015 at 12 AM. The winner will be notified via email and will have 48 hours to respond to claim his or her prize. a Rafflecopter giveaway Good luck! I love decorating the house and entertaining friends and family at the Holidays! This is so cute! I love the warm snuggles and decorating with the kids! Believe it or not, I love gathering all the gifts I've purchased and make an entire day of wrapping. It's my special time to relax and gather my thoughts. I love the sparkle and glitter of the holidays! I love Christmas time. The festivities, decorating, baking, cooking, everything. Besides spending time with family, my favorite thing is the bright shiny ornaments! Every year I have bought special ornament for both of my grandkids, so that by the time they have a home they should have a minimum of at least 20 to start decorating their own trees, plus special memories to go with them. They are already 13 and 15 years old. Thank you so much for the chance to win Bethany. It is not to early for adorable projects like this one! One of my favorite things during the holiday season is going up into the foothills with our family to choose and cut a Christmas tree. The hunt is the most fun...putting on the lights is the least fun!